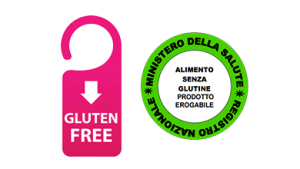 Ever since the beginning, our choice was to process gluten free food in a separate plant, totally reserved to it. We did not consider the possibility to work with the “temporal” separation of productions, which allows alternation of gluten-containing and gluten-free productions. We therefore created a reserved plant and duplicated the mixing and packing lines, in order to avoid any risk of cross contamination “at home”. External risks are daily evaluated and monitored by our Quality Assurance team, following our self-monitoring plan: accurate selection of suppliers and raw materials and check analysis per batch for all goods to be shipped. No goods leave our factory without their analysis stating gluten absence (gluten levels not exceeding 20 ppm).